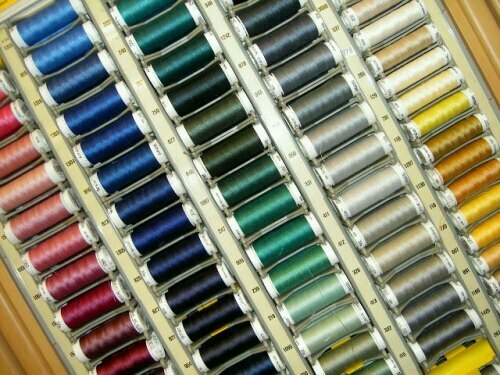 We carry quality thread from AMANN. The spool has 200 meters. Please specify the color when you order (in the cart) or for example that you want it to match fabric you have ordered and we will find a matching color.